When it comes to the service you need for your Mount Kisco HVAC contractor services, only the best will do. You have to be confident that you can take care of your home and your family, and the only way to do so is by having your heating and cooling in proper working order. So this means trusting, not just anyone, but the best company there is for this - Nu-Way Air Conditioning & Heating. With a creed like “Fixed Right or its Free” you can rest assured we don't just do superior work – we care about taking care of our customers. The average person takes their heating for granted, that is until something goes wrong and they realize how much they need it. Our main goal is to try to help you keep your system in tact so you and your loved ones never have to go without. But if your system does break down, at least you can feel good knowing we will be there for your emergency service, 24 hours a day and 7 days a week. You rely just as heavily on your air conditioner in the hot summer months, as well. 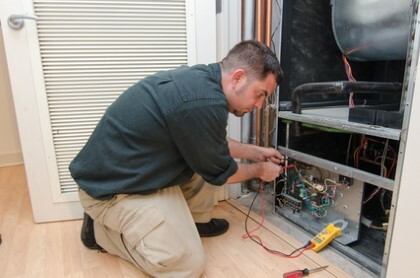 So it only makes sense that you would want to rely on the same team of experts for your AC service. We look forward to working with you and helping you get set up with whatever service you may need. But what you do have to keep in mind is that w can't help you until you give us a call. From installation to inspection and repairs to replacement, our specialty just happens to be all of the above. If you haven't already addressed your need for improving your indoor air quality, then you need to start making changes now. The good news is that you already have the team to rely on to get the job done. We can help you take care of a variety of tasks that will finally help you and your loved ones breathe easy, literally. By working with the Nu-Way Air Conditioning & Heating team, you can rest assured that you are getting the finest in quality service. For all of your Mount Kisco HVAC service needs, you can count on us to not just get the job done, but deliver the best results. Call today and let us take care of whatever you need. Don't settle for anything less than the best when it comes to the work you get for your home. If you're looking for a Mount Kisco HVAC contractor, then give us a call today at 914.777.5030 or complete our online request form.